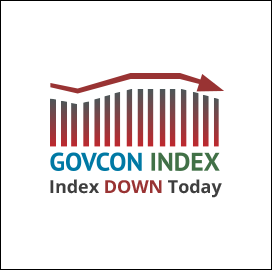 The Executive Mosaic GovCon Index closed down for the second day to 94.474 off 0.624 percent. Decliners outpaced advancers 4 to 1. 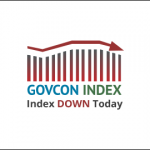 The major indices all closed down with the S&P500 and DJIA continuing their slide from 6/19. The NASDAQ continuing it’s downward trend from 6/23. Markets showed hesitancy over Republicans slow movement on healthcare reform and tax cuts, while U.S. economic growth still in question. WTI crude oil closed up for the fourth consecutive day, breaking through the $44 mark to settle at $44.22 per barrel a positive 1.94 percent as U.S. oil inventories show signs of declining.